Well, Call the Midwife may be over but the good news is that a fourth series is in the works! The next series will take the nuns and nurses of Nonnatus House into a new decade; 1960. If you recall Season 3 this year was preceded by the Christmas Special episode and it was just announced who will be the "star" of this year's Christmas Special. 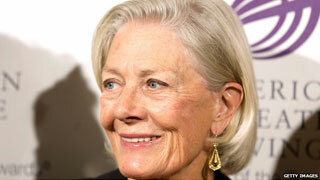 None other than Vanessa Redgrave! We've been listening to her as the voice of the older Jenny since Call the Midwife began, but now she's gearing up to appear as the character in person. She'll also continue doing narration, but it'll be good to see her on screen. 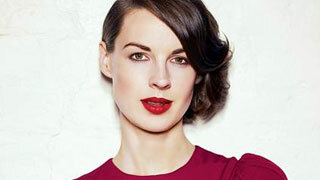 As you know, in the last episode of the series we just wrapped up, Nurse Jenny Lee quit midwifery to work in a Marie Curie cancer hospital, which means the actress who played her, Jessica Raine, won't be returning to Season 4. Nurse Lee was Raine's first major acting job and thanks to the series she's now become a major star in the UK. So it's understandable that she needs time to branch out and take on other projects. We're not the only ones who are going to miss Raine. 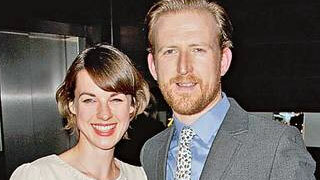 Ben Caplan, who plays Chummy's husband PC Peter Noakes, confesses "it was sad to see her go. It will be different not having her around, but the show's going to change a lot, moving into a different decade, and if there's going to be a big change, I think it's the right time to do it." As for Raine, she admits that as much as she's loved playing Nurse Lee, after a few weeks she has an "overwhelming desire to go out and get drunk and fling myself round a dance floor with wanton abandon." Jessica with Tom Goodman-Hill in October 2011. The actress is of course joking, but she would like to take on a role that's completely different to the sweet smiling Jenny. "I would like to explore comedy", says the 31 year old actress. "I want to do more theatre and I definitely want a future in film. I love science-fiction." In fact, Raine spent a month in Los Angeles last year and it looks like there's a lot of interest in this farmer's daughter. Whether or not she makes it in the movie world, one thing's for certain, Raine will never give up stage work - it's her passion. In fact, the reason we didn't see her in all of Season 3 was because she was released for a while so she could appear in a show in London called Roots. Raine & Goodman-Hill rehearse at the National Theatre. The theatre is where Raine met her partner, actor Tom Goodman-Hill (Mr. Selfridge) when they were both appearing in a show at the National Theatre. Their getting together is something Raine doesn't like to discuss as he was married with two children at the time and it caused quite a stir in the UK tabloids. Raine weathered that storm though and has remained a huge favorite with viewers, whose enthusiasm for a series about midwifery has come as a surprise to everyone involved. "It's amazingly satisfying to see how the public have embraced the series," says Raine, "but as is in keeping with Jenny's story, it's time for me to explore pastures new."